Ingesting slippery elm tea is perhaps the best way to obtain the health benefits of slippery elm. Drinks - fine slippery elm powder is made from slippery elm bark, and the powder is used to make liquids, for example infusions, decoctions and liquid extracts or tinctures. The fine slippery elm powder prepares a mucilaginous drink. Poultices - coarse slippery elm powder is made from slippery elm bark, and the powder is used to make poultices for external healing. Slippery elm tea is made from fine, powdered slippery elm bark. It is a good way to obtain the many nutrients in the herb, which is relatively easy to digest. This makes it, generally speaking, also suitable for children and babies. Slippery elm tea can help with various digestive issues, such as constipation, diarrhea, irritable bowel syndrome, and ulcers. The health benefits of slippery elm tea also include being helpful with respiratory conditions, such as coughs and sore throats, as well as external ailments like burns and wounds. There are two main ways to make this tea, either as a decoction or as an infusion. Use a ratio of slippery elm bark powder to water of about 1:8. Simmer for an hour. This will make a mucilaginous drink that can be taken as often as needed. Alternately, it can also be added to juice or oatmeal. Pour 2 cups of boiling water over 4 grams (approx 2 tablespoons) of powdered slippery elm bark and then steep for 3 to 5 minutes. This slippery elm tea is to be ingested three times per day. Take two capsules (250 to 500 mg), three times a day. It is said that 'lozenges containing 3 grains of elm flavored with methyl salicylate are used as a demulcent '. Generally, the instructions on the label of the slippery elm throat lozenges are to be followed. This is typically made by first mixing a teaspoonful of slippery elm powder with cold water into a thin and perfectly smooth paste, and then pouring on a pint of boiling water, steadily stirring meanwhile. If preferred, this can be flavored with cinnamon, nutmeg or lemon rind. This makes an effective remedy for irritation of the mucous membrane of the stomach and intestines. When taken at night, it will induce sleep in cases of insomnia. Slippery elm has only a slight taste and a mild aroma reminiscent of maple. The abovementioned are adult dosages. Dosages for children are to be adjusted in proportion to the child's weight. 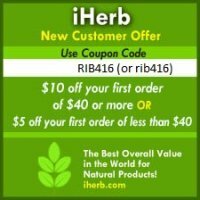 Most herbal dosages for adults are calculated on the basis of a 150 lb (70 kg) adult. Therefore, if the child weighs 50 lb (20 to 25 kg), the appropriate dose of slippery elm for this child would be 1/3 of the adult dose. Slippery elm poultices are prepared by mixing coarse, powdered slippery elm bark with boiling water. Other herbs are often also added to poultices to improve their cleansing and / or healing effects. When moistened, disintegrated slippery elm bark forms a flexible and spongy tissue, which is easily molded into pessaries, teats and suppositories.